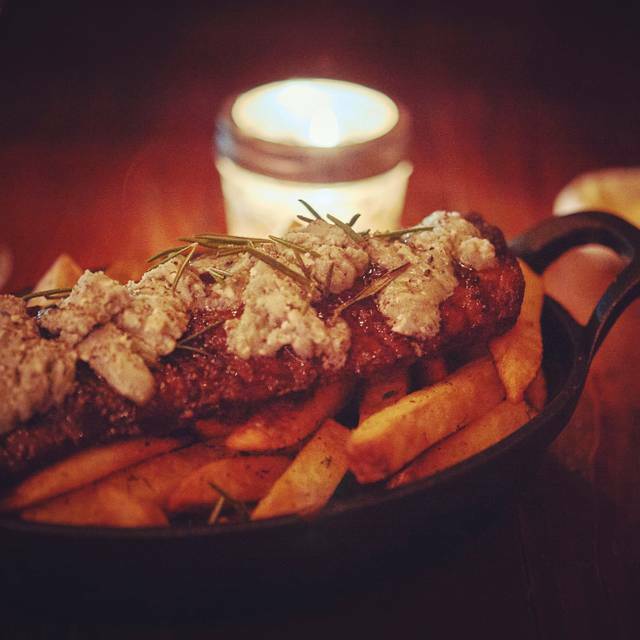 Located in Brooklyn�s Greenpoint neighborhood, Anella serves upscale American cuisine in a fine-dining setting. Each meal is made from scratch with locally sourced ingredients including fresh meat and seafood. Anella has a full bar with a drink menu that includes seasonally appropriate cocktails and rotating specials. Start out your experience at Anella with the roasted beet salad or a bowl of the butternut squash soup. Choose from a menu full of carefully crafted dishes like the roasted chicken served with fingerling potatoes and chanterelle mushrooms or the pork belly served with green lentils, apples and sage. Top off your experience with one of the restaurant�s desserts like the apple crumble. NYC Subway G Train (Greenpoint Stop). East River Ferry (India St. Greenpoint Stop). 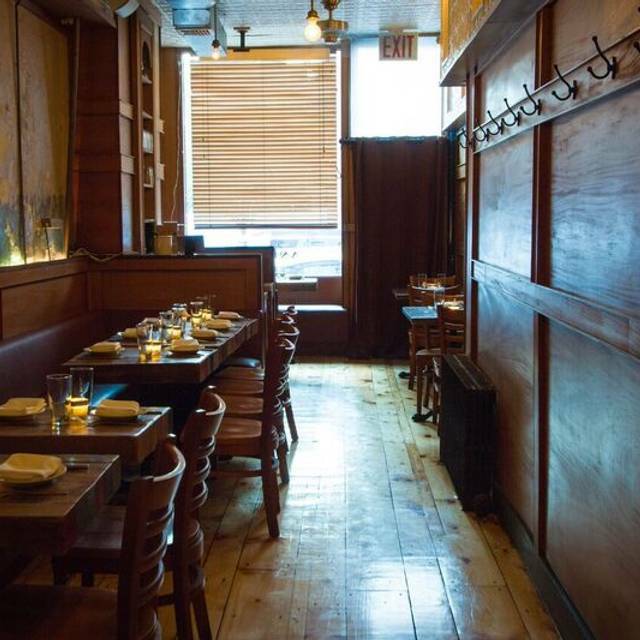 Anella is one of Greenpoint's best neighborhood spots for dinner and brunch. Love, love, love this place. Great neighborhood place. Great cocktails, food and service. Easy going brunch. Decor is charming & food was delicious. Drinks nothing special. Anella was fantastic. When I booked, I mentioned it was a date. They seated us in the best seat of the house. Food and wine were fantastic. We had a wonderful time and hope to come back again soon! Came to Anella for my birthday and although the space isn't huge, they were able to accommodate a table of 10 without any problem. The service was great and the food and drinks were awesome. I would definitely come back for a group dinner or just a night out. The food was terrific, farm to table, and served well. Loved the ambiance and the cool atmosphere. Anella is a great neighborhood spot. The vibe, the wine, the food-- it all works. The bread in the flowerpot with the salted butter is reason enough to visit. Love everything about the place: staff, ambiance, food, and drink. It's always a treat to dine there. Literally sitting on top of the people next to us to our elbows would bump while eating. Food came out wrong initially but was corrected. Cozy little spot, the photo doesn’t do it justice. Food and service are amazing. The food is phenomenal, and the craft drinks amazing. If you are in the area, def go visit. Be sure to make a resv! Waits were up to an hour at one point for those without one. Great brunch, lunch and dinner! Fabulous food and service at this great Greenpoint restaurant! Cool neighborhood. Cool atmosphere. Good service. Good food. Anella was exactly as advertised. We loved it. 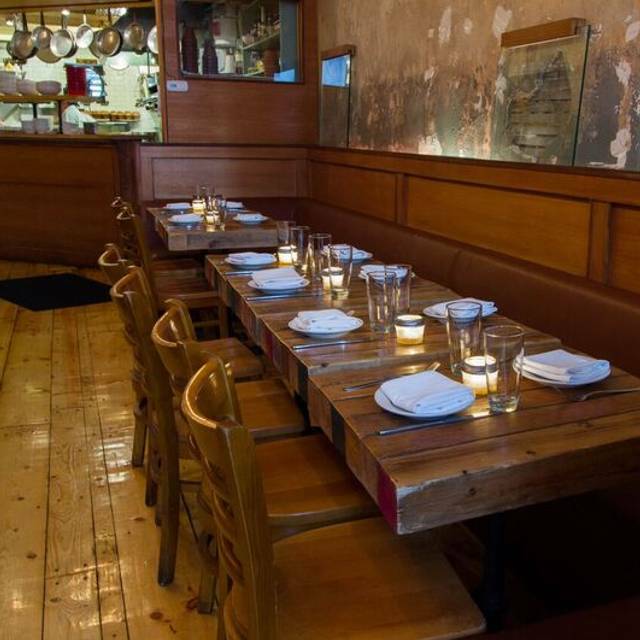 There's so many restaurants to check out in Greenpoint, but we'd go back to Anella in a heartbeat. Loved the spiralized vegetables. The bread was outstanding - not many places pull that off. Great brunch and the fried chicken biscuit with honey jalepeno and slaw was good but I would have loved to have more of the honey jalepeno flavor. That was too subtle if at all. Otherwise very yummy and highly recommended. I had brunch here with two friends who were celebrating their birthdays. The food was delicious, the garden was really nice, and the service was as close to perfect as you could ask for. The servers have figured out how to be perfectly attentive without being annoying--they're there when you need them, and don't intrude when you don't. My only complaint is that the music is played a little loudly, so you have to talk over it. But, I highly recommend it and really enjoyed our meal. Excellent food with a selected menu that clearly puts an emphasis on seasonal and local. Salads were very fresh! Good tea selection, friendly and speedy service! On a beautiful day we sat in the garden and enjoyed it immensely! Our trip to Brooklyn isn't complete until we've eaten at Anellas. Never disappointed in any aspect of our meal. Knowledgeable staff, congenial but not too nosey. Authentic neighborhood ambience. Frank was especially cool. Delicious and different. Notwithstanding the fact that it was raining, the outdoor space, which is protected, was lovely. My fiance and I moved to Greenpoint a few months ago and have been enjoying trying all the local spots. We needed to discuss some wedding plans, which is always best over a nice meal, so we yelp-ed and found Anella was right down the block. What a pleasant surprise. Waitress was amazing, super sweet and knowledgeable. There was no rush once we sat. If I had to say one thing that may get to people is that the tables are small and close together, but it didn't bother us at all. Can't wait to go back! Great food and a nice ambiance .Good but small selection of draft beers and have a little bit of everything to eat for weekend brunch. Service was friendly. Highly recommend! This was my third time at Anella and all three of us were blown away by the food and the service. It's a relatively small restaurant, but we were able to get a last minute reservation on a Saturday night. Their pasta and seafood seem to be particular favorites, but we had several vegetable dishes as well and they were excellent. Definitely a neighborhood gem! OMG. This food was so freaking good. You really must try the burrata. it's paired so well with the mint, beet and snap pea salad. omg. The service was attentive and friendly, I never felt rushed or pressured to order. Fantastic food, ambiance & great drinks....the garden is a beautiful oasis! Second time in a week it was amazing and every moment outstanding! Amazing place, amazing atmosphere, delicious food and very kind service! Although food is tasty, portions are small and overpriced. There seemed to be an issue with the kitchen since it took over 40 minutes for our entrees to come out. Great food. Service was polite and attentive. Fun atmosphere. Will definitely return. Amazing food, service, vibe and atmosphere!! The service was good. It was a hot night and The dining room was stifling and uncomfortable. It would have been nice if there were more creative vegan options. Perfect for a date night. Menu was superb. Ambiance was very Romantic. Appropriate service. I love this place. It has a charming, romantic vibe and a great selection of handmade cocktails. Good wine list. The pasta is amazing and I always love the little fresh bread they serve baked in tiny flowerpot. Super nice sitting outside in the garden during the summer. Great spot for a date or a nice dinner with a friend. Went here for brunch. Delicious food and great service! Will definitely return. This was the first time at this restaurant. My son and I went for brunch and it was delicious. The service was right on point and exceptional. I loved the hamburger that my son got and I also loved The eggs Benedict that I had with crispy potatoes. I would definitely go back there again! Went for Sunday Brunch. Food, atmosphere and service was exceptional! Backyard eating environment comfortable and cozy. Enjoyed every bite! Wait staff pleasant and efficient. Will return soon! Food was excellent as was the service! I wanted to especially acknowledge the manager Lindsey. She went above and beyond to make each diners' experience a great one. Great find in the Brooklyn area! Will definitely be back when we're in the area! Five of us had dinner there and we had a wonderful time - awesome food (Chicken was moist, my cod dish was loved by all of my friends), the waitress was very accommodating, too. Definitely a spot to come back to.